Our inspiration derives from a timeless tradition of manufacturing cigars in Key West FL, which dates back to the 1830s. In 1867 a German immigrant by the name of Simon Seidenberg, a cigar manufacturer from New York, established the first “clear Cuban” cigar factory in Key West. 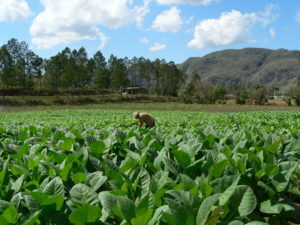 By using Cuban laborers to roll Cuban tobacco, Seidenberg pioneer the idea of making authentic Cuban cigars in America. Following with the spirit of Samuel Seidenberg, today in Miami the exile and immigrant Cuban community continue with the tradition and craft, of making hand-rolled cigars in much the same way they did in their former lives in Cuba. 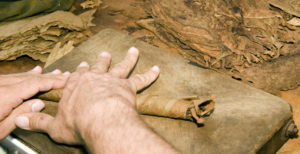 The hand-rolled cigars method used today has differ very little since the introduction two centuries ago. Here in Miami, nestle in the little Havana historic neighborhood district, is the home of the Havana Classic Cigar Factory, our tobacco supplier. At Havana Classic, all the rollers are of Cuban descent. They learned and mastered their trade in Cuban factories for over 10 years prior to exile. The factory is a small boutique place, making authentic Cuban style cigars with tobacco from the Dominican Republic and Nicaragua. The tobacco used by Havana Classic is purchased from Oliva Tobacco Company, which has for 75 years the privilege of supplying the world’s premier cigar producers with fine leaf tobacco. Three generations have devoted their lives to learning the secrets of planting, cultivating, harvesting, curing and grading tobacco and earning the trust and confidence of us the valued customer. Today the OLIVA continues the tradition on their own farms in the Caribbean, South and Central America as well as with select contract farmers. The Oliva, leaf is the finest available because they are with it, every step of the way. They spend a lot of time on the ground – judging the soil, selecting the seed, walking the fields, visiting the barns and working with the farmers.